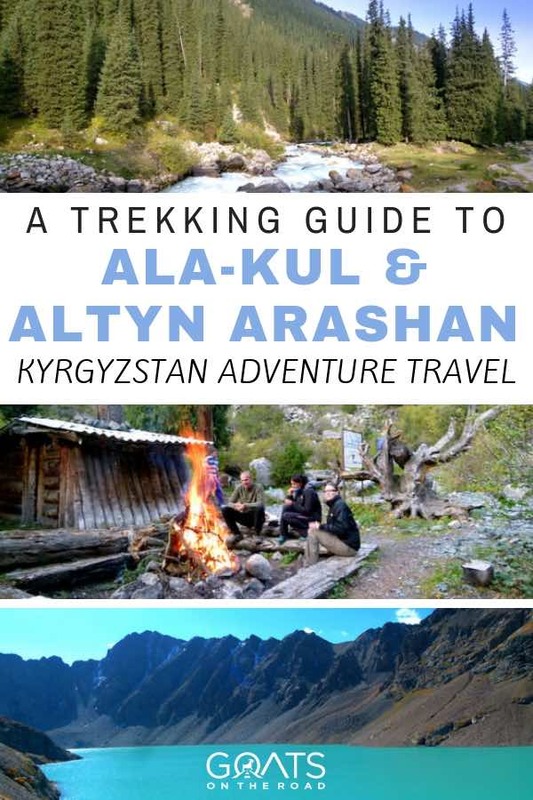 We decided to do our trek to Ala-kul and Altyn Arashan without a guide and it was one of the most stunning and exhausting treks we’ve ever done. We trekked the Annapurna Circuit in Nepal which brought us up to 5,416 meters, but that was a gradual incline and by the time we hit the pass, we were in shape. Not this time! 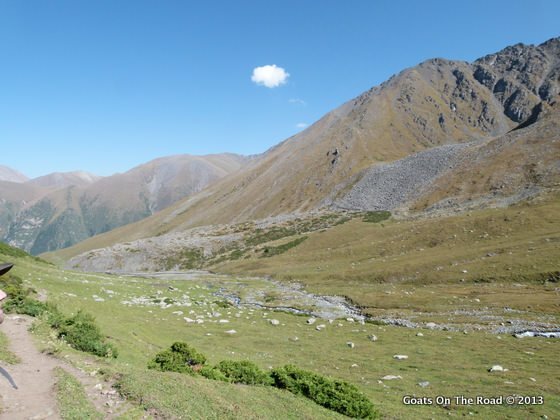 For the Ala-kul – Altyn Arashan trek we had only 1 day to acclimatize and get into shape and we were feeling it on the steady incline up to the Ala-kul pass. We started out from Karakol, taking a marshrutka up to the entrance to Ala-kul nature reserve. We paid our entrance fee and started the gradual hike along the Karakol river. The first 4 hours of the hike were relatively easy. We meandered our way through the valley, passing by small villages and yurts along the way. UPDATE 2018: There are now yurt camps at regular intervals along the route. 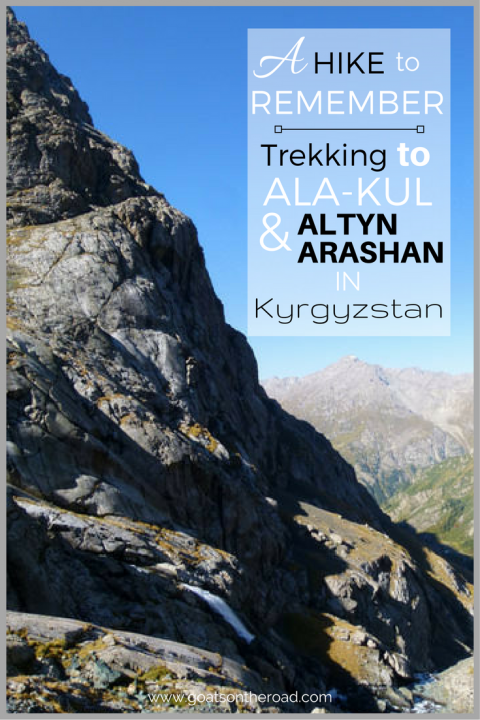 You’ll find approximately 5 between the river crossing on day 1 (when it starts to get really tough), and Altyn Arashan. So the whole trek can be done easily without a tent or food now (they can provide everything: all you need is snacks, water and appropriate clothing!). There is now a new camp that you can stay at after day 1 (near the sirota hut). The charge is 800 som for a 4 person tent with a woodburning stove. There were also mini Yurts available for 1000 som. Food was 300-400 som/meal. After 4 hours we reached a bridge that led to the east side of the river. From here, the real hike began. It was a solid 2 hour pull, straight up, to reach a small wooded cabin nestled in the high alpine forest at about 3000 meters. Here is where we would set up camp for the night. 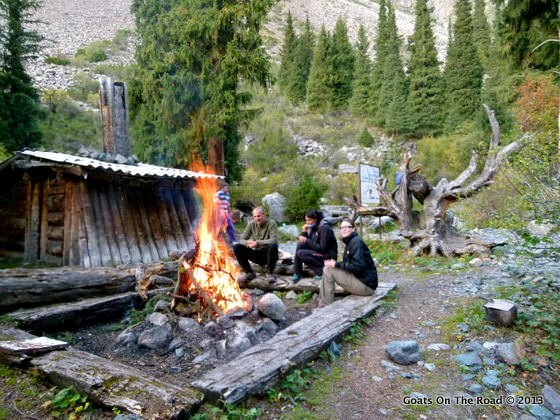 That night, with the sound of the river rushing down the valley behind us and the twinkle of an uncountable number of stars above us, we lit a fire and swapped travel stories with three other travellers who had made the journey that day. In the morning, with the sun still hidden behind the soaring cliffs and marking our direction of travel, we began our ascent. Almost immediately we were climbing up steep rocks next to a roaring waterfall. Breathless from both exhaustion and the sheer beauty of our surroundings, we struggled to concentrate and keep our eyes on our feet, instead of blissfully gazing off into the golden cliffs that erupted from the valley around us. Trying To Concentrate On Our Footing Wasn’t Easy. Now You Can See Why! With each ten steps forward, we had to stop and allow our lungs to catch up and absorb what little oxygen was available in the high-altitude air. We were definitely not as in shape as we thought! 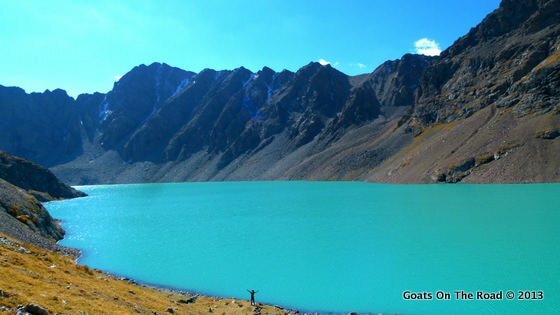 Finally after an arduous climb, we came over a final summit that revealed Ala-kul in all of its turquoise beauty. 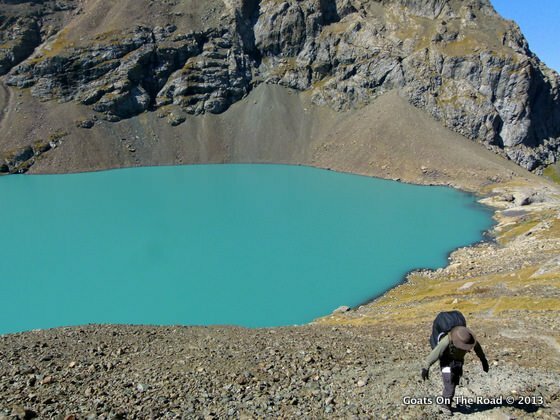 We were stunned by the sparkling bliss of this tiny alpine lake. Puddled beneath the jagged rocky peaks of the Ala-Too Mountain Range, its pale blue-green surface contrasted beautifully with the high mountains and the deep blue sky above. Photos simply can’t do Ala-Kul any justice. We stopped here for a quick bite to eat and refilled our water. From here we followed the shoreline for a few hundred meters before beginning yet another steep climb to the Ala-Kul pass at 3,800 meters. This last climb was the hardest, as the air thinned, our lack of preparation and acclimatization became evermore apparent. Finally, after a long hard climb, we had reached the pass! Dariece and I love trekking, and we always say that we prefer the low-level treks where we don’t have to push our bodies to extremes. 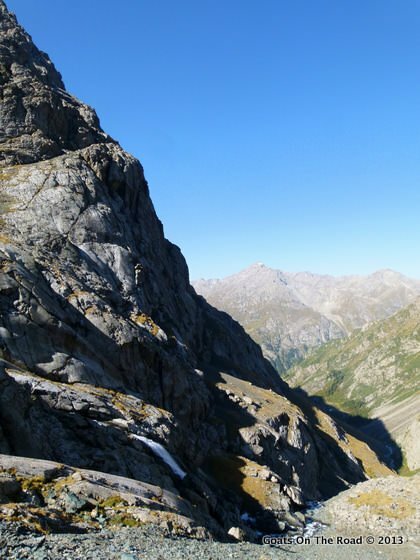 But every time that we are rewarded with magnificent alpine scenery like that of the Karakol valley, we realize that it’s all completely worth it. 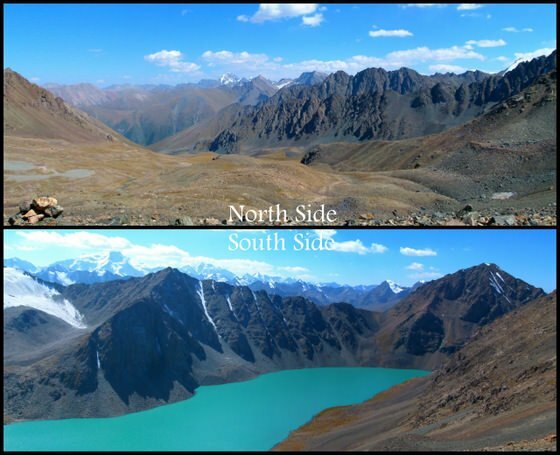 On the southern side of the pass lay the dazzling, surreal-looking Ala-kul lake, and on the northern side lay the Kel’deke Valley, fringed by the enormous Terimtor Mountains that seemed to pierce the sky with their snowy peaks. Our descent was to be sudden and slightly dangerous. Missing the “proper path”, we accidentally opted for the rock slide prone gravel slope on the far eastern edge of the pass. We soon found ourselves skiing down the side of a mountain, steep enough that one false move would have spelled disaster. Each step into the loose shale sent our feet sliding downward for 5-10 meters. We probably descended 500 meters in 15 minutes! After the tricky, double black diamond slope, we finally reached a relatively calm path that led north-east and deep into the Kel’deke Valley. 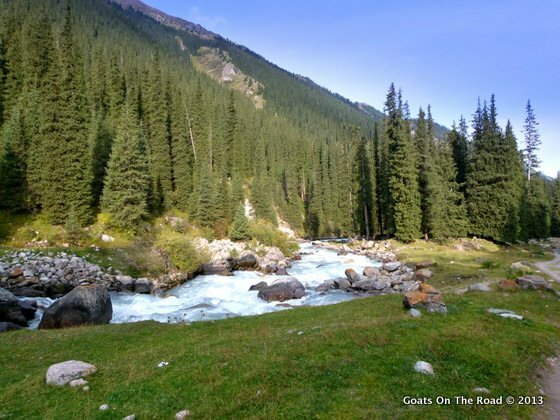 Mountain run-off has blessed these summer pastures with green grass and pale blue creeks which cut through the valley as they meander their way down toward our final destination, Altyn Arashan. As we reached the lower edges of the valley, we started seeing fewer trail markers and eventually none at all. We found ourselves far away from any normal trail and started to worry that we were lost. We like to be “off the beaten path” but not completely lost! Finally, after some dangerous river crossings, we rejoined the trail and found our way to Altyn Arashan, a beautiful alpine village nestled at the mouth of the Anyior Valley, with the massive Pik Pilatka mountain looming to the south. By this time we had been trekking for 9 hours and our bodies were completely worn out. Having carried between 10-15 kg each on our backs the whole way, our muscles were in much need of some relaxation. 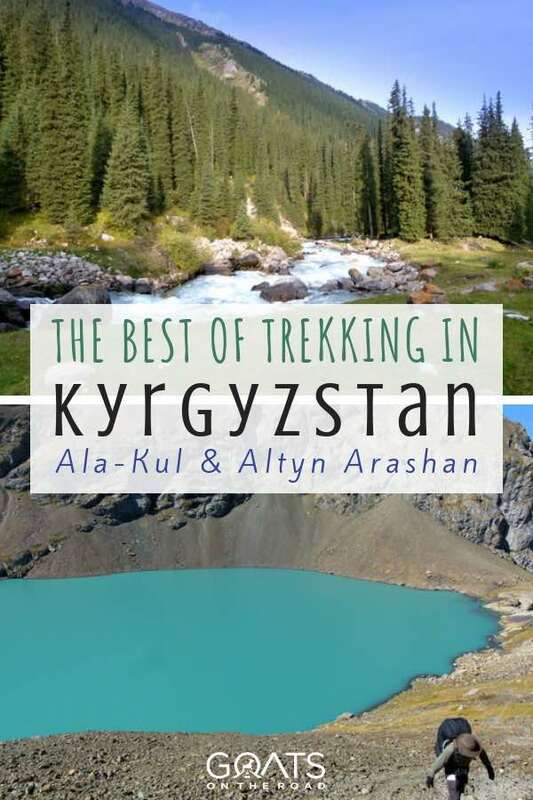 Luckily Altyn Arashan is known for its natural hot springs. We set up our tent near Arashan Travel Hotel (not really a hotel, just a run-down house) and rented our own private hot spring hut. The water in the spring was incredibly hot and it immediately soothed our aching bodies. We soaked and floated for about an hour before heading back to the tent and basically passing out cold at around 8:00. The next day, we woke up around 7:00 and started the 3 hour hike back to civilization where a taxi waited to take us back to Karakol. I’m writing this article nearly a week after finishing the trek and our calf muscles are still extremely sore! 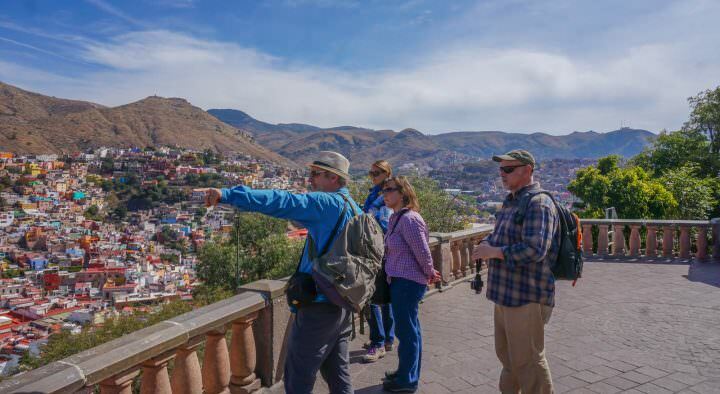 The trek itself was absolutely breathtaking (in more ways than one) and we will definitely recommend it to fellow travellers as one of the greatest treks we’ve ever done! Special thanks to TwoStayWild.com for helping with the updated 2018 information. 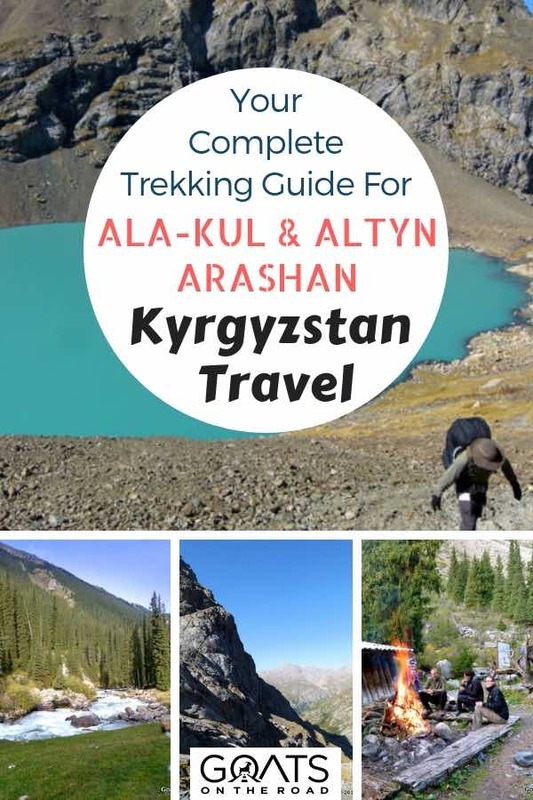 Check Out Our Trekking Ala-Kul & Altyn Arashan Video! Cool trek guys.I love treks and u are really inspiring me to get to that part of the world. You two also look great and miss u both. Gorgeous! The scenery reminds me of so many places at once, but it really seems like a unique experience hiking in this part of the world. The mountains in this part of the world are super high (between 3,000 and 7,000m) and trekking through them is such an amazing experience! WOW, unbelievably beautiful! I’m so jealous of this trek!Thanks for sharing guys Awesome post! Thanks Heart! The trek was really grueling but the scenery was fantastic. 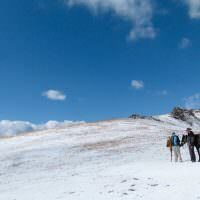 great trek description, the photos are amazing and the video as well!! We did that trek in mid-late September. I don’t think October is a bad decision. You could always contact the CBT Office when you’re in Kyrgyzstan and ask them about what the weather is doing on the mountain. You’ll want warm gear either way! I am planning to do this in October beginning this year and am quite excited. How was the trek for you when you did it in October? Was it too cold, lots of snow near the pass? Rainy? Would be great if you could share your experience. THanks! I think you would be fine in October, but just check with the local tourism offices – weather is unpredictable these days. cool trek! I’m going to do the same in a couple of week. Just a couple of questions: how big is the wooden cabin? How many people can sleep inside? 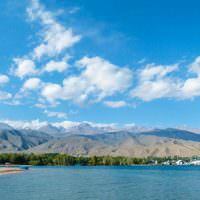 Is it possible to rent a tend in Karakol? Hi Andrea 🙂 You can’t sleep inside the hut, it’s full of wood and other random things! 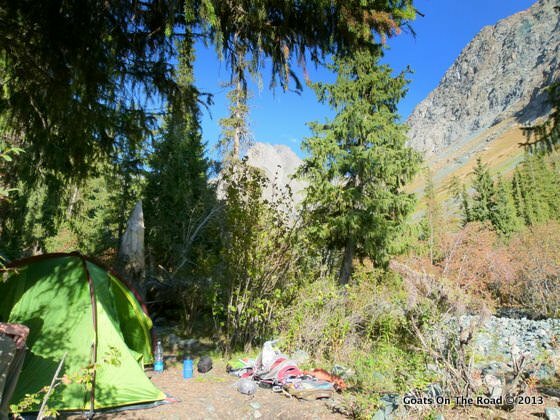 You’ll need a tent and you could rent one in Karakol. Speak with the CBT office there and they will help to sort you out. Hello! Thanks for an inspiring and useful description. We’re going to do this trek in a couple of days! We would like to know if you found it absolutely necessary to carry a map and a compass (and if you carried a map, did you get the it in Geoid or in CBT Karakol) or the marks are good anough to follow (apart from the last part of the descent;)? Hey guys! I’m so sorry for the delayed reply, I hope I’m not too late. We recommend having a map and compass for sure. We got our map at the CBT in Karakol….actually, no, we didn’t get the map, they only had one and we took photos of it! The marks were only so-so when we were there, as they wanted you to hire a guide. Let me know how they are now! Hi dear Goats! Thanks for the reply, it came in time:) We visited Karakol’s CBT and indeed they had a map and like other CBTs (and like in your case), they allowed to take a picture of it. It was smaller and slightly less detailed than one of the 3 trekking maps sold by Geoid in Bishkek (and apparently some info centres in Karakol) but in the same CBT we were lucky to meet a group of trekkers who just finished the trek and offered us their worn out map. Indeed it was useful (so was the compass) but it also had some mistakes (ex. no bridge shown on Teleti stream before the Teleti pass, which delayed our start by 3 hours on the 2nd day of the trek). Thanks for the reply and we wish you happy travels! I’m glad you were able to figure everything out!! Hi. Thanks for posting about this trek. Is it possible to do this as a solo female hiker? Is the trail straightforward to follow if you have the map from.CBT? 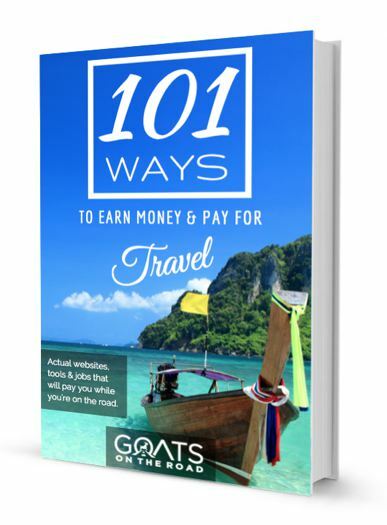 How much does it cost for a guide? I guess it depends on whether or not you’re an experienced trekker? The trail isn’t all that well marked – we did get lost for a bit – I don’t remember how much guides cost, but they weren’t that much actually. I would check at CBT. Hi, a friend and I are planning to do this trek in a few weeks. Where the tents you rented good quality? And how much was it to rent a tent? Also was it cold at night when you were camping? What kind of sleeping bad did you have? 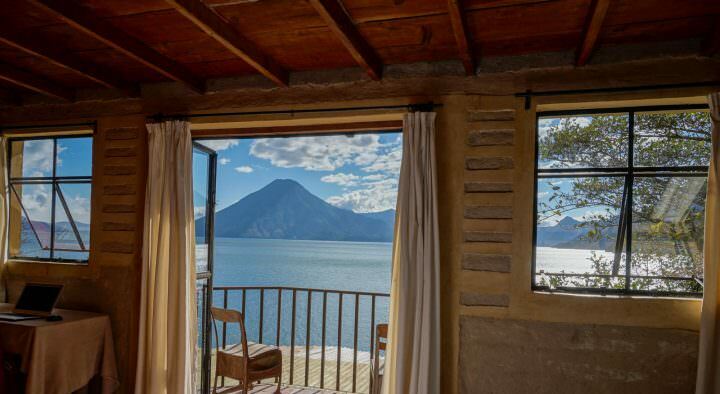 We had our own tent that we bought in China – it was Quechua brand. It was a bit chilly at night, we both travel with thermal tops and bottoms, fleece tops, windbreaker jackets, etc. so we were warm enough. Our sleeping bag was 0 – +7, which wasn’t warm enough to be honest. I would have gone for -5 / -10 to 0 °. You can rent sleeping bags and tents though. Speak to the CBT office. Hi guys, loved the post! 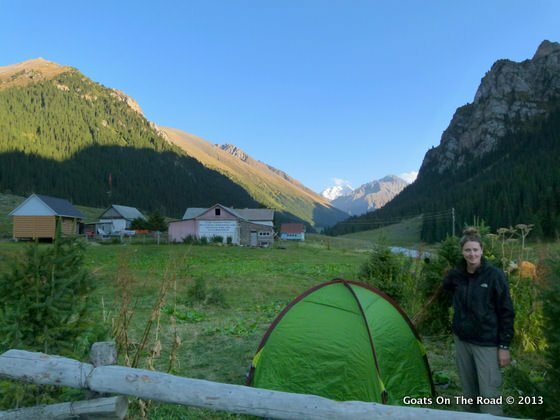 I was just wondering whether you brought/carried your own tent around Kyrgyzstan or hired one there? I’m trying to plan a 3 week trip there and not sure whether its worth bringing our tent along as we may just end up carrying it and not using it much. Keep the posts coming, we really enjoy reading them! Cool trek and video – thanks ! Couple of questions a) how far away was that glacier ? Looked like a great 1 day detour ! Also what is it with North Americans and not using hiking poles ! They would have made your descent a lot easier and safer (take this from someone who would stumble a LOT without them) !! 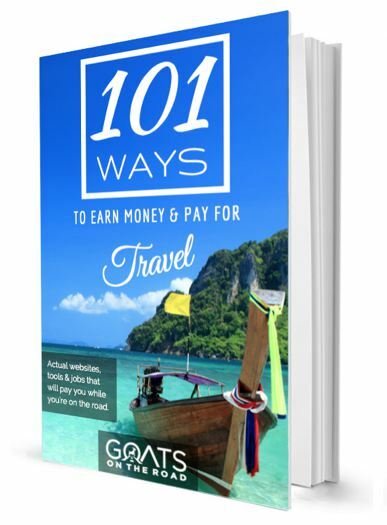 Booked your site as a valuable resource and I’m using it for planning 3 weeks in Kyrgyzstan next Spring. Hi! The trek looks great, my girlfriend and I are looking to hike this trail the upcoming summer. Do you have a GPX or a marked map of the course of the route? Also; you said you took a taxi back to Karakul, from where did you take this taxi? Is it too far (or simply just not interesting?) to walk al the way back to Karakul? quick question regarding your update from 2018. Is there a yurt camp or a possibility to stay overnight (with out bringing own tent/food) at the lake itself now?